As I like to spread the joy of making art and #positivevibes, I decided to make one of my ink drawings into a little freebie for you guys! 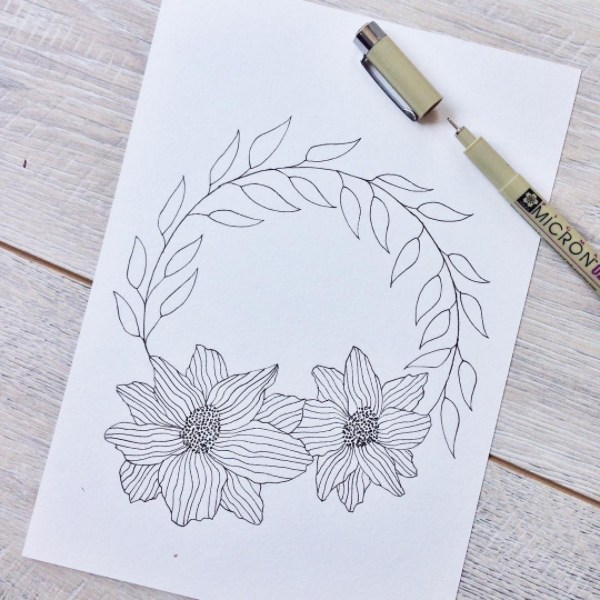 I thought this flower and leafy wreath would make a great coloring page for you or your kids, or you can use it for watercolors, pens, ink, whatever you like! You can download the ink flower and leaf wreath HERE. I would LOVE to see your creations with this, so if you do decide to use it for you art, please tag me on Insta and I will definately spam your post and feed!